Formula DRIFT is coming to Phoenix! 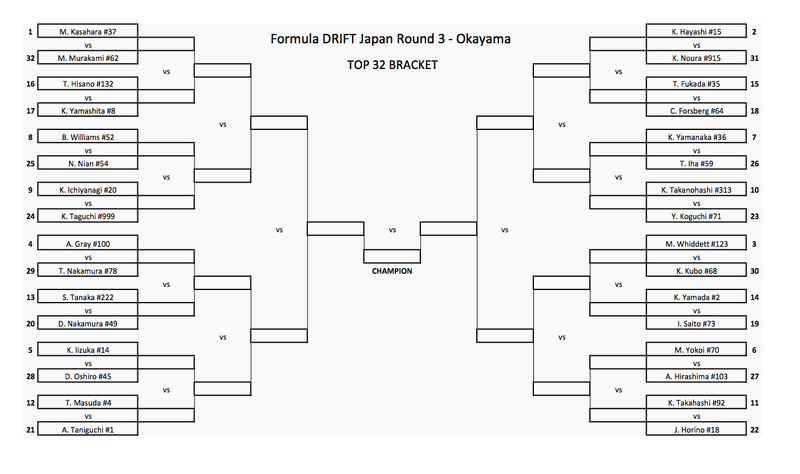 Formula DRIFT Pro 2 Phoenix, on September 30th and October 1st, is the final round of the 2016 Formula DRIFT Pro 2 Championship. 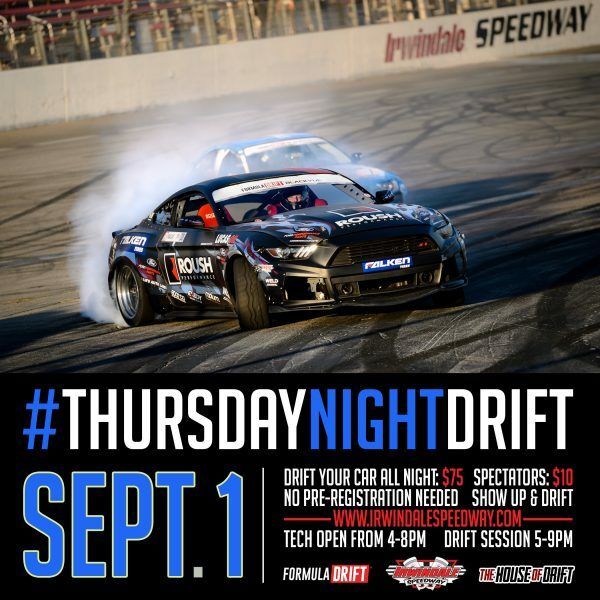 This stand-alone event, which is a first for the growing series, will also host the Southwest Drift Series Pro Am, making for an exciting match-up of the best up-and-coming drivers from all over the country as they not only compete for cash and prizes, but also try to earn their Pro license and enter the Formula DRIFT Pro Championship Series. Come out and see the drivers compete in a thrilling side-by-side, head-to-head competition on a high-speed, tight drift course never seen before in Arizona! The event will also feature a huge vendor village, tons of giveaways from sponsors, driver autograph sessions, open pits to see the cars and stars up close and personal and so much more, including a huge car show on Saturday, featuring some of the coolest import and drift cars in Arizona! Gates open at 2:00pm both days, with the action starting at 3:00pm. General admission is $20 on Friday and $25 on Saturday. $40 for a 2-day general admission ticket. Kids 12 and under will be admitted for free. Upgrade to a VIP experience for $35 each day to get reserved seating, access to a private, tented beer garden, and exclusive driver autograph & photo sessions. Car show participants can register now to win trophies and awards in several categories on Saturday, October 1st. Day-of-event check-in will begin at 1:00pm, with judging at 5:00pm and awards ceremony at 7:00pm. Irwindale’s own Formula DRIFT open practice sessions will resume on the course that the entire civilized world now knows as the legendary “House of Drift” … aka: Irwindale Speedway right at the top of the 605 freeway. 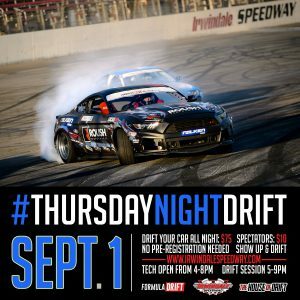 Each of the Thursday night sessions will start with a (public invited) technical inspection for the competition vehicles at 4:00PM and drift practice will run flat out from 5:00PM to 9:00PM. The fan gates open at 4PM and there’s plenty of close-free parking. Open to the public (fans can watch from the stands and visit the pits as well) admission is only $10 per person. 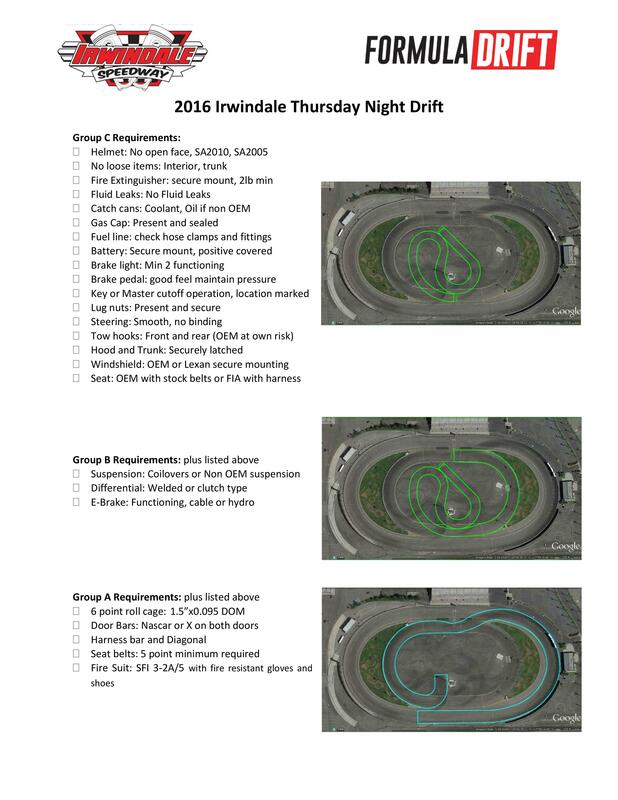 These will be nights when fans can see some of the best of the best getting tuned-up for the 2016 season as well as catching the acts of some of new, upcoming Drift talent as they test their driving skills and machines against the established pros. 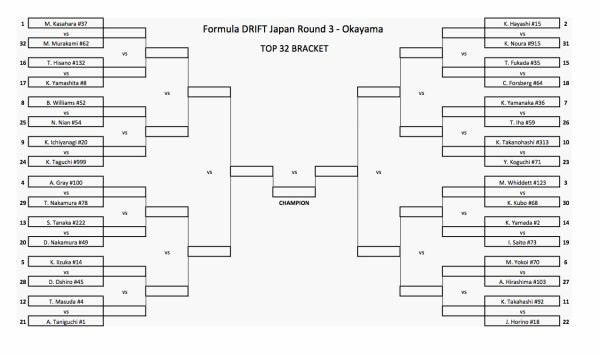 Long Beach, Calif. – August 23, 2016 – Formula DRIFT Japan presented by G-Shock returned to the Okayama International Circuit for Round 3 of the Formula DRIFT Japan Championship / Round 8 of the World Championship. 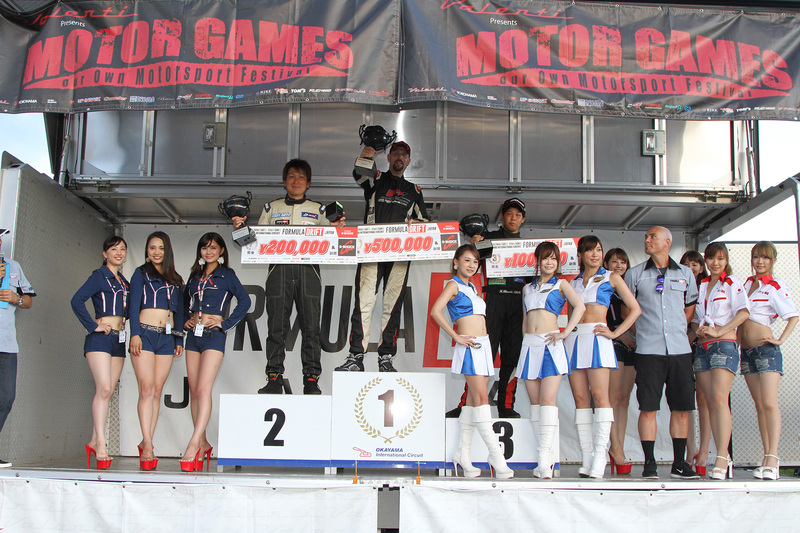 Andrew Gray battled to victory to solidify his defense of his 2015 Formula DRIFT Japan title. 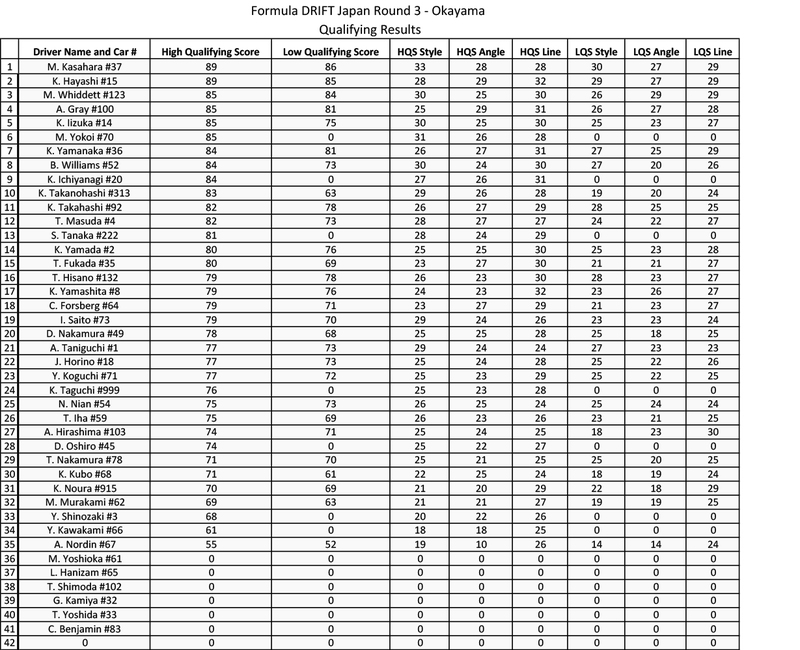 Chris Forsberg moves atop the World Championship Standings. The famed Okayama International Circuit, home to previous Formula One events, hosted the event round. Andrew Gray took the victory through consistent driving at the historic track. The highly competitive event saw a new driver enter the field. 2-time Formula DRIFT champion, Chris Forsberg, set his sights on securing a Formula DRIFT World Championship. 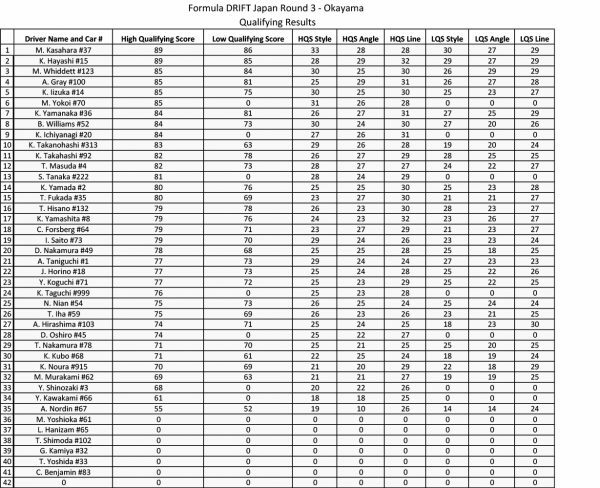 After a One More Time battle with second place finisher Kazuki Hayashi, Forsberg failed to reach the podium, but secured a healthy lead in the overall chase for the World Championship. “I’m really happy with where I finished this weekend. It was a grueling event where I had to deal with lots of travel as well as trying to figure out how to drive at a high level on the other side of the car, but with my Top 16 finish, I have put my campaign for the World Championship in a good position,” said Chris Forsberg. The 2016 Formula DRIFT Pro Championship will continue to Round 7: Showdown on September 9-10, 2016 at Texas Motor Speedway. For more information visit, www.formulad.com and find Formula DRIFT on Instagram @formulad, Facebook www.facebook.com/formuladrift, Twitter @FormulaD, and Snapchat – formula_drift. Tune into Formula DRIFT on CBS Sports and check your local listings for airtimes.